Colours for Dwindle: a Tapir’s Tale, from 2017. 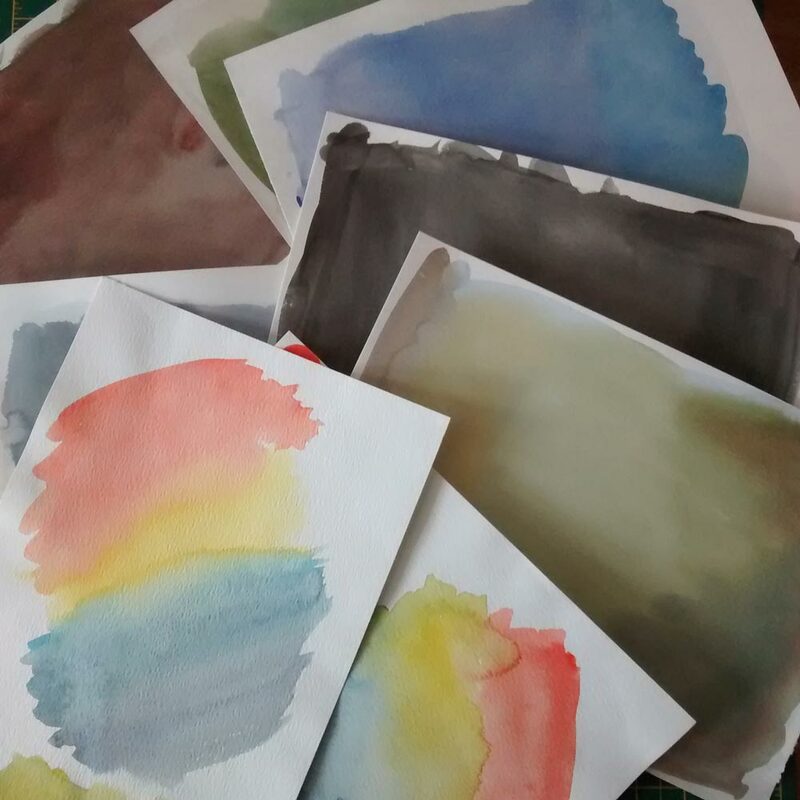 This peek backstage shows the watercolour sheets I created to add colour and texture to the illustrations for Dwindle. The line-art was drawn and digitised separately, with these sheets scanned and carefully positioned in “behind”. The Dwindle project had a deliberately muted palette throughout. Additionally, these colour-scans were considerably desaturated before being applied, because even the dull colours shown here were much too strong in their original state. The only exceptions to the bland, washed-out colours are found in the tapir’s dream, which uses the rainbowlike spread on the two sheets in the lower half of this photo. In fact, these improperly cheerful colours serve as a signal that things are not going to go well for the tapir: the images start to shrink from the moment the tapir wakes from the only colourful part of his experience.